This is one of my favorite plants. 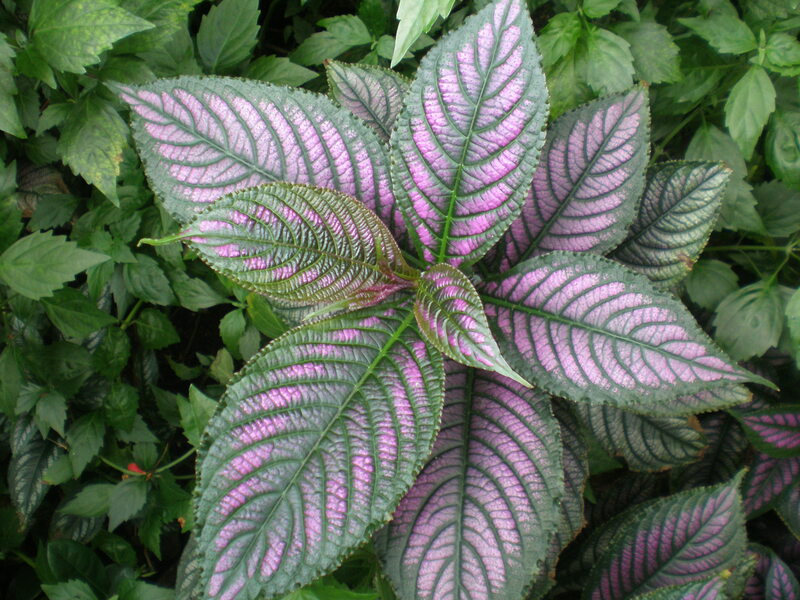 The leaves are iridescent, almost metallic, pinks and greens and silvery purple. It likes shade and a moister spot in a yard.